Are you also addicted to solving Sudoku puzzles? 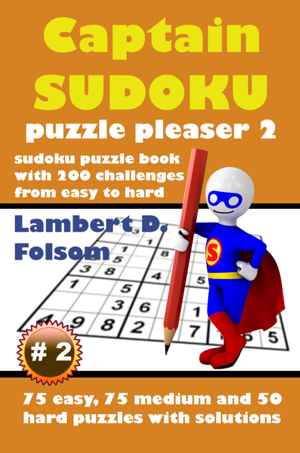 Like its predecessor, the “Captain Sudoku Puzzle Pleaser 2″ book contains 200 Sudoku challenges to feed your addiction; and if you are not addicted yet, here is your chance to start on the easy puzzles and see what the fuss is all about! 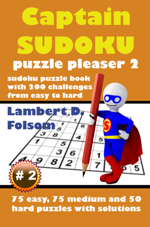 This Sudoku puzzle book has a total of 200 puzzles from easy to hard levels, with 75 easy, 75 medium and 50 hard puzzles, all with solutions at the end of the book.